Are there any consequences to giving wild animals names and does it detract from their wildness? Say hello to Bill. Don’t ask me how or why I arrived at this name. Perhaps it was the first name that sprang to mind, or something in his poise that reminded me of my Grandpa. Whatever it was, I named this otter 'Bill', but the very act of confessing this unsettles me. The naming and consequently, the anthropomorphising of wildlife, is something that will never sit comfortably with me as a nature photographer because I believe that wildlife should remain exactly that - wild. I do not, nor wish to, own or control the wildlife I photograph and I have no sense of entitlement to the precious moments that can be shared in nature. However desperate I am to capture an image, allowing for natural, undisturbed behaviour will always remain my priority and privilege. I'm a scientist at heart (at least by training). I've studied the foraging behaviour of harbour seals to the variation in song of chaffinches, always assigning numbers, codes or 'neutral identifiers' to animals in order not to introduce bias to the research. Watching any species at length reveals pervading characteristics, complexities and nuances of behaviour that it is difficult to ignore, but unlike the scientist in me, it is my job as a photographer to capture this raw, evocative personality, rather than to ignore it. Naming an animal to reflect these characteristics, can have its advantages. Bill was photographed over the course of a week along a rugged stretch of Scottish coastline. For a dog otter, his fishing patterns were rather predictable, but with a territory overlapping that of around 3 other otters (females), it took time, patience and a keen eye to establish his patterns and determine how best to photograph him without threatening his (and the other's) natural behaviour. On this occasion, my wife/field partner, acted as a second pair of eyes to monitor the wider area, alert me to sudden changes and help me to differentiate between animals. 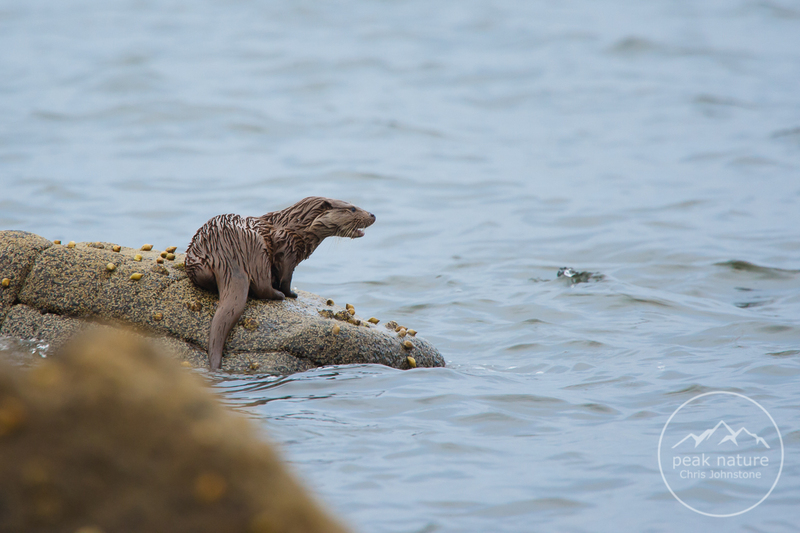 Assigning names to the otters, and in particular to Bill, not only helped us to recall individuals more readily and relate that information to each other, but it also gave us a greater sense of connection to those animals, reinforcing our commitment to protect their behaviour and habitat. It would seem that this effect is not unique. Research has proven that anthropomorphising animals can be of benefit to conservation too, eliciting in people a sense of responsibility that can result in donations and support that would otherwise have been directed elsewhere. Surely that can be no bad thing. Just look at the way Harambe the Gorilla and Cecil the Lion pervaded the hearts of people across the globe. Of course, those same two examples also prompted thousands of hollow memes in return for a few token likes or retweets, a trivialisation of animals that can only work to undermine any conservation activity. In becoming over familiar with animals, they somehow lose their wildness and gain the potential to be tamed like a pet. I suspect that, as with everything in the natural world, some people will always be more inclined to behave irresponsibly than others, but for those who are mindful of their own impact on the world, it matters little whether they name animals or not. I can't yet conclusively say whether I think it's right or wrong to name wild animals. I will perhaps continue to do so where I can see that it has no impact on the animal in question. Still, I'm receptive to differing views on what is a debated issue in the field.